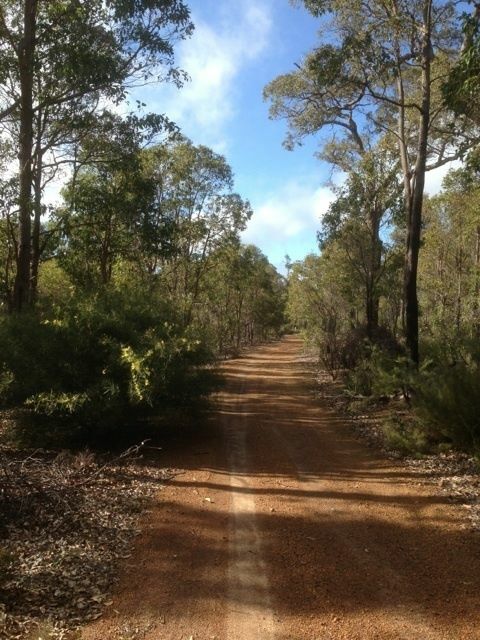 Fox Trail, Yellow Brick Road, Lover's Lane, Woodley's Loop, the Spine is a 17.1 kilometer moderately trafficked loop trail located in the state of Western Australia, Australia that features beautiful wild flowers and is good for all skill levels. The trail offers a number of activity options and is accessible year-round. Dogs are also able to use this trail but must be kept on leash. 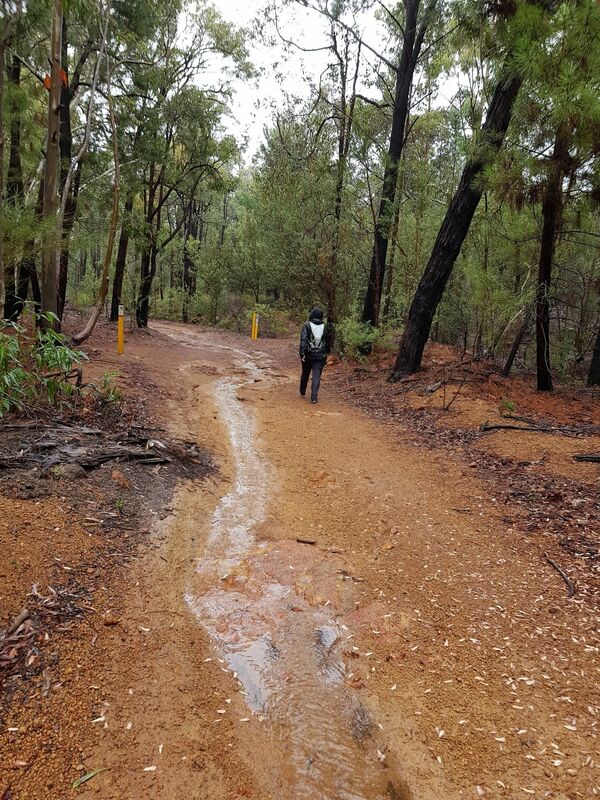 One hour from Perth, the fast flowing singletrack is popular with beginners and more advanced riders alike. 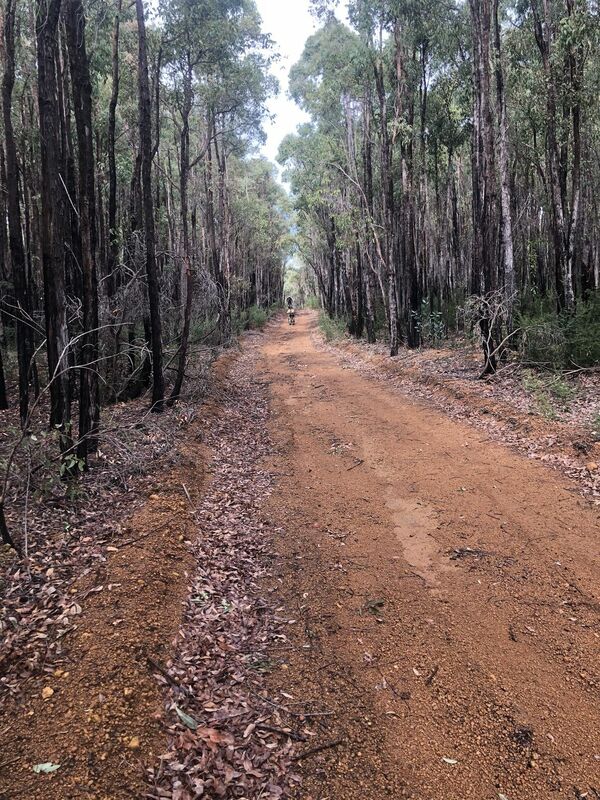 Langford Park, just outside of Jarrahdale, is a popular mountain biking destination for beginners and advanced riders alike due to the gradual hills and fast, flowing singletrack. Recent upgrades by DEC have seen a network of trails signposted making this venue even more attractive newcomers to the sport. In addition, there are toilets, picnic tables and free gas barbeques near the car park. If that isn't enough for you, the General Store in nearby Jarradale has a good cafe, including the mighty Jarrah burger. Several popular races are held here each year including a 6 Hour enduro and the Dusk till Dawn 12 hour (November). In case of an emergency, please be aware that whilst there is fair Telstra cell coverage in this area, there is little or no reception for other networks. Main car park. Take the second exit from the roundabout after crossing the train tracks and follow the one-way loop round to the car park. Just to the NE of the car park is a very pleasant picnic area with tables and free gas BBQs. Don't forget to pack some sausages for a post-ride feed. Easy trail that provides access to and from the trail loops. A great fun, slightly technical trail that links up to The Fox trail. Great trail for light and technical riding through the forest. 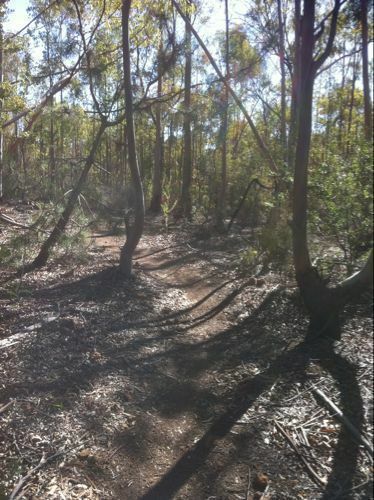 Incorporates some of the best fast flowing riding in the Jarrahdale area. A long flowing loop trail taking you along the outskirts of the park. Combine with Woodley's Loop and The Fox for the longest ride in the park in a range of landscapes. 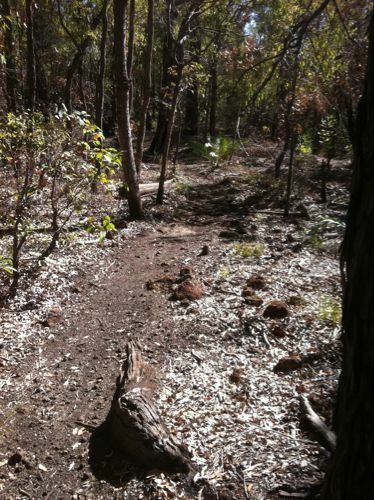 Great single track that provides fun flowing access to the Yellow Brick Road. 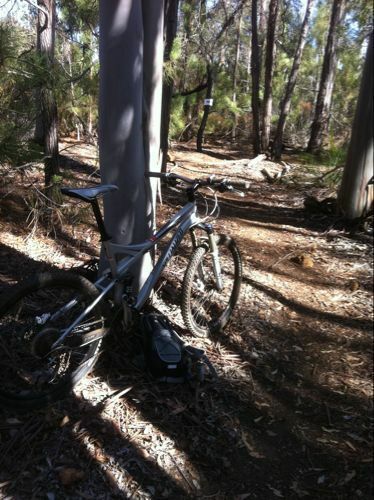 Some of the best riding in Jarrahdale. This loop is perfect for night riding with reflectors to lead your way. 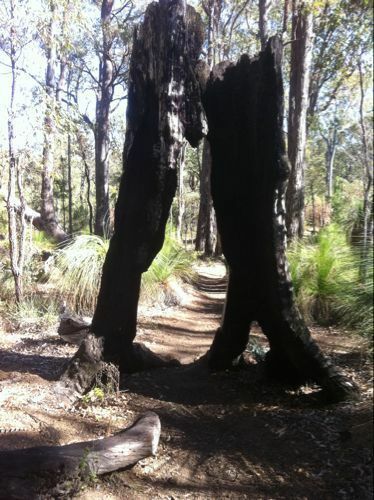 The old fire trail takes an easy route through the forest. Perfect for anyone new to mountain biking. Quick short loop with a fun descent into the valley. Perfect to combine with The Fox. Fantastic, free flowing trail with good mix of fast descents and easy climbs. Bring some food for BBQ afterwards or head to Jarrahdale store for a mighty Jarrah burger. GETTING THERE: Langford Park is located just outside the small town of Jarrahdale approximately 45 minutes drive from the centre of Perth. Turn left off the South Western Highway onto Jarrahdale Road. Shortly before reaching Jarrahdale turn left onto Nettleton Road. After 2km turn left into Langford Park. Cross over the railway track and straight on at the roundabout. Park in the large car park near the toilets. To get to the start of the trail cycle up the path past the toilets to the large clearing. Awesome weather for a change. Great half day out! lots of trails for all skill levels. Although could do with some black obstacles. Love this place to ride, Woodleys, Yellow Brick and Fox make for a decent 60min ride. Make sure you go Millbrook Winnery afterwards lunch (Wed-Sat) - it's a great spot.